Apple is out to release its flagship device for 2018. What could be the follow-up to the iPhone 8 and X called this time around? Some say it’ll be known as the iPhone 9, iPhone X Plus, iPhone XI or iPhone 11. You might even have great ideas of your own. Rumour has it that there’s not only one, not two, but three prestigious iPhones to rule the market come autumn. While we don’t just believe everything we hear or read online, there’s always a reason to speculate. Sources abound and bits of information tend to leak. A good amount of research and digging into reliable sources can get you in on valuable firsthand knowledge of the best things you can possibly get! In a moment you’ll be quite familiar with the all-new iPhone 11. We’ll discuss the new features, go through the tech specs, the cost (whether or not money is no object), and the most anticipated release date. This article gets down to the tiniest detail on the latest iOS and all other rumoured iPhone devices to expect in 2018. Will It Have A Metal or Glass Back? What Are The iPhone 11 Color Choices? What Will The iPhone X Plus, iPhone XI or iPhone 11 Look Like? Will There Be Any iPhone Surprises for 2018? When Can We Finally Get Our Hands on the iPhone 11? Consumers finally got ahold of the all-glass iPhone X merely 2 months ago in November 2017. Despite the recent launch of the iPhone 8, iPhone 8 Plus and iPhone X, Apple welcomes the new year with an eye to the future. What do you think the creators of the world’s most powerful devices are doing at this time? Sure enough, creating another phone! The leading multinational technology company’s every move exhibit signs of an upcoming iPhone X successor. Apple is apparently securing displays and parts for their lineup of 2018 iPhone models. Credible sources suggest that the 2018 iPhone models will arrive in varying screen sizes, including the biggest iPhone screen yet to be available- the iPhone 11. Asian News provider Nikkei has cited that a source privy to the company’s product designs said Apple is tentatively planning on two new OLED models, a 5.8-inch and 6.3-inch iPhone. 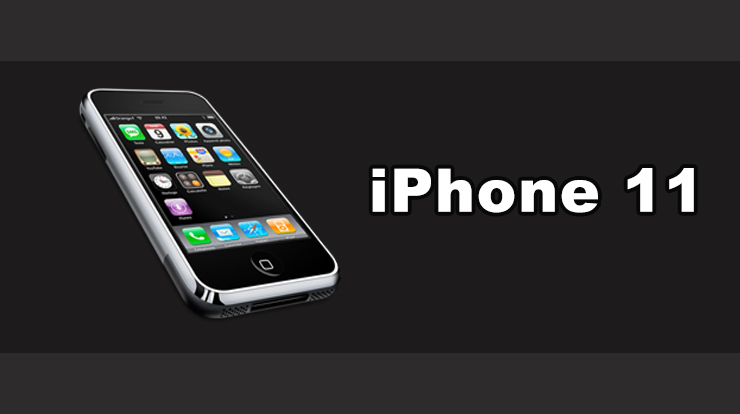 Another iPhone is rumoured to be in-the-making with an LCD screen measuring at least 6 inches. In late August of 2017, The Korea Herald suggested that Apple is innovating on iPhone models with OLED displays measuring 5.85 in and 6.46 in, with the latter potentially released as the iPhone X Plus. An image photoshopped by us of the upcoming iPhone X or iPhone XI. It was written in the English-language Korean daily that Apple has begun development work with Samsung, which is the company’s OLED supplier, and other parts manufacturers “earlier than usual.” The tech giant’s move was further backed by sources upon stating that the development schedule, considering a myriad of factors like funding, facility investment and production plans, has been advanced. Moreover, work for 2017’s iPhone was similarly initiated earlier, which was in April last year. iPhone X is still fresh in the hands of consumers. Apple called it the future of the smartphone, equipped with sophisticated parts with the promise of new experiences. What brought the Cupertino-based firm to follow-up so soon? The decision is thought to have emerged from the desire to compete against the leading manufacturer of big-screen smartphones, which is no other than their sole OLED supplier. In May 2017, Samsung is presumed to secure a 180-million panel order from Apple for use on their latest 2018 iPhone innovations. That’s more than double the 70 million OLEDs they previously ordered to bring the iPhone 8 to life. The Korea Herald also reported that Samsung and Apple, on general conditions, have signed a non-disclosure agreement inclusive of the screen size. Clearly, it didn’t effectively prevent leakages and rumours from circulating. An anonymous industry source was cited to comment that the smartphone is “still under development,” so adjustments could possibly be made on other details like screen design and functions. Samsung’s Galaxy Note 8 is regarded as the primary competitor of the iPhone 8 Plus. The Samsung phone was designated by a recent DxOMark benchmark camera test as the new joint leader alongside the Apple iPhone 8 Plus in terms of smartphone image quality. The most distinctive feature of the flagship Samsung phone would be its Infinity Display. The Note 8 is the biggest ever for the Galaxy Note series, built with a 6.3-inch SuperAMOLED display amid ultra thin bezels. The brand advertised the phone’s 18.5:9 aspect ratio to enable users to multitask and enjoy a cinematic viewing experience. Apple sure won’t go down without a fight. If rumours prove to be true, the 6.46-inch iPhone 11 is likely to surpass the Galaxy Note 8, despite the fact that its displays are actually manufactured by Samsung. We’ve scoured the web for information and quoted important statements from reliable sources. Now comes the most awaited part. What new features will users see on the iPhone X Plus? 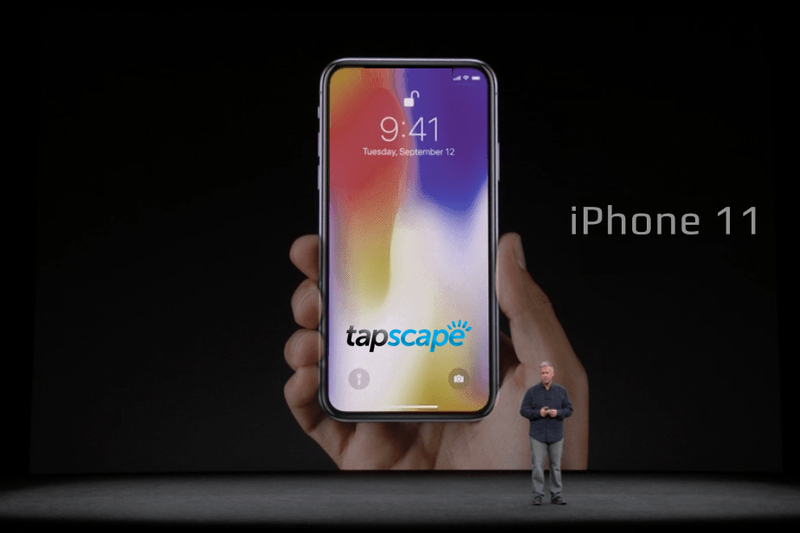 What will make current iPhone X owners want to upgrade to the iPhone X Plus, and urge non-iPhone users to have the iPhone 11? Samsung amassed solid global support globally, which must have influenced Apple’s screen size calculations. It’s said that the company was to manufacture smaller devices, placing an order for 5.28-inch OLEDs, but seems to have been inclined to opt for larger screens given the high demand for phablet-type smartphones. The Bell’s report via The Investor quoted anonymous industry sources on the deal between Apple and Samsung Electronics for the 5.28 in and 6.46 in OLED panel supply. A report in September 2017 stated that the firm cancelled part of its order accounting for 5.28-inch displays because of low marketability. The smaller screen was canned in favour of the 5.85-inch screen and the larger 6.46 in display. iPhone 8 Plus had a 5.5 in screen and the iPhone X had 5.8-inch OLED display, which only strengthens the speculation of an iPhone 9 or iPhone X Plus. Shortly after, Ming-Chi Kuo predicted three new iPhone models- the 5.8 in, 6.5 in, and 6.1 in. Quoting KGI analyst Kuo, “Two new OLED models target high-end market.” He suggested in November of 2017 that the 5.8-inch model will have an OLED display with 458 pixels per inch while the 6.5-inch OLED is estimated to have 480-500 PPI. “New TFT-LCD model aims at low-end & midrange markets,” Kuo added. This means the 2018 iPhone with the LCD display will have the budget features rather than the smallest model with an OLED screen. The 6.1-inch TFT-LCD will have a lower resolution of roughly 320-330 PPI, hence will be available at a lower price. Kuo further stated that they believe that size is the major distinction between the two OLED models in light of meeting the needs of the upscale market. He presumes that the new TFT-LCD model will significantly differ in aspects of design and hardware. Based on the history of Apple smartphones and iPhone redesigns, the iPhone 11 is predicted to retain the look users have familiarised with. The last prominent design change occurred in 2014, as seen on the iPhone 6 and 6 Plus which carried on to the iPhone 6s and 6s Plus releases in 2015. The design was altered slightly in 2016’s iPhone 7 and 7 Plus where the headphone jack was disregarded. The iOS devices came with varying camera lenses and revised antenna bands. All successors to the iPhone 8, iPhone 8 Plus and the classy iPhone X are expected to adopt a form that’s in line with the all-screen iPhone X design. The same will likely be carried over to the iPhone XI and iPhone XI Plus in 2019, but that’s a whole new topic to uncover in the future. Apple’s flagship iPhones for 2018 will likely be bezel-free, equipped with a Face ID camera and no Home button. Among the three models iPhone released in 2017, the iPhone X was the first device to feature an OLED or organic light-emitting diode display. The iPhone 8 and iPhone 8 Plus both came with LCD screens. Compared to LCD, OLED produces a brighter display and a better color contrast. Furthermore, OLED panels can be molded to fit curved screens and possibly folded. All three handsets to be rolled out in 2018 will sport glass backs supported by aluminum or steel frames, according to Nikkei. Ming-Chi Kuo presumes that the iPhone X Plus may come with a new steel band design. There may not be a noticeable difference from the existing steel band on the iPhone X, but the likelihood for a seamless version is high towards enhancing band data transmission. The iPhone X was only available in Space Gray and Silver. We saw the jet black on the iPhone 7 and iPhone 7 Plus, and the gold finish on the iPhone 8 and iPhone 8 Plus. For now, what we know is that one of the three iPhone models for 2018 will be available in several colours. Designers and illustrators world over typically brainstorm and imagine radical iPhone appearances even before its launch. Tiny pieces of information and source leaks are enough to create a blueprint draft of the iPhone 11’s design. However, creating a unique design is entirely different from its actual execution, so these images may not be of resemblance to the real thing. The iPhone X Plus renditions below are the closest we could get, with combined knowledge of the design, technical specifications, and how it compares to the iPhone X. Here are some renders from the best artists which should pretty much give you an idea of how the iPhone 11 would look and feel. The closer we get to the product launch, with almost undoubtedly more product leaks, we can make more sense of Apple’s design plans. iDrop News gives us a clear picture of the two iPhones with OLED screens placed side-by-side. KGI Securities featured their own image of the 2018 iPhone trio with corresponding PPI (pixels per inch). Sidewall displays and micro LED screens are not far from happening. Apple was granted an “Electronic devices with sidewall displays” patent in May of 2014. Thanks to technology, phones can now do without with the space-consuming, screen obstructing physical home button. The patent is another technological advancement that will help the tech giant grow its users even more. Physical buttons, i.e. the Home button, were replaced with virtual buttons while side buttons remained. The patent could revolutionize experiences by not only eliminating the remainder of the physical buttons, but extending touch-screen capabilities to this area. The sidewall can display information like notifications, app icons, music player controls, messaging readouts, volume, and more possibilities along with virtual side buttons. Michael Shanks from Dribbble had his own cool idea of the sidewall. For smartphone owners, a newer phone with the latest technology means better picture quality and added functionality. Apple will exceed expectations if their future iPhone models with OLED displays arrives with this patent of an amazing technology. There’s just one problem with this remarkable wrap-around screen. How you can possibly enclose it in a case without compromising and obstructing phone functions? On the other hand, your precious iPhone 11 will be unprotected without a hard or silicone case. But then again, that’s for Apple to figure out! Reports have sprouted online telling how Apple is considering the use of Micro LED screens. Apple’s interest in the technology was evident since they acquired the power-efficient LED tech company LuxVue in 2014. Micro-LEDs are favorable for offering ultra-high definition, high brightness and colour saturation, faster response rates, longer lifespans, and a higher efficiency. All that with a relatively low consumption. There’s a chance it could be built into the Apple Watch, like the case with OLED, by this year. The Micro LED technology may eventually be utilised on the iPhone itself in the succeeding year. Face ID or In-Screen Touch ID? iPhones in late 2017 introduced the Face ID feature. Face ID is predicted to be on all 2018 iPhone models, but the in-screen Touch ID isn’t out of the picture. Kuo has published a report stating his predictions that Apple will incorporate the facial recognition tech across all iPhones, like how it’s been integrated on the iPhone X. He quickly added that the Touch ID fingerprint scanning may be retained. In spite of the technological challenge posed by the in-screen fingerprint scanner, Apple can pour its efforts into solving the issue depending on how user feedback on the Face ID. If in any way the feature proves to be annoying and unreliable, the manufacturer may integrate the Touch ID scanner into the smartphone’s display. Apple has previously explored this option and has filed a patent in January 2013 linked to a Touch ID display. The technology ought to work by placing your finger on the display for scanning instead of pressing the Home Button.The touchscreen display patent described a fingerprint-sensing layer that could revolutionize advanced multi-user support. An iPhone with this kind of display can allow and prevent users from opening certain apps. The feature could be particularly useful for households with curious kids who love to explore gadgets. Apple can take the technology up a notch if they wanted. For instance, the finger sensor can be synced with a piano app to help students learn correct finger placement on the keys. Could it be true that Apple is mulling over adding a stylus to the iPhone? Not a fan of the stylus himself, late founder Steve Jobs rejected the idea outright. He even claimed that the best stylus is the finger. Well, that didn’t stop the corporation from launching the Pencil for the iPad Pro. Unnamed industry sources stated in October that Apple is already collaborating with stylus makers. A stylus could indeed come handy with a bigger screen, and the rumoured iPhone X Plus arises as a strong candidate for use with the Apple Pencil. Unlike the Samsung Note’s EMR (electromagnetic resonance) S Pen, Apple is looking into the more pen-like supercapacitor stylus similar to what Lenovo has previously used. In November 2017, The Korea Herald cited claims from anonymous industry sources of Apple working on a digital pen and not the pencil. If the iPhone 11 were to ship with its own stylus, then the iOS version would also be tweaked to support it. The iPhone X Plus may include advanced email features and apps for writing notes or sketching. The 2018 flagship iPhone X Plus is likely to feature the Gigabit LTE, if not 5G which is well on its way. Who knows, maybe Apple is intentionally waiting for the 5G rather than integrating LTE capabilities on the iPhone 11? In this ever-changing world, one technological advancement comes after the next. Companies continue to innovate as broadband speeds have become more important than ever to consumers. The step from 3G to 4G was dramatic, yet in almost no time the industry introduced the Gigabit LTE. Gigabit LTE promises a more colorful life as it takes download speeds to great heights and pushes the boundaries of LTE. Technology has made it possible to reach up to 1000 megabits per second. A smartphone that supports this feature will not only impress with speed, but has the ability to secure a data connection from a tower miles and miles away. People can stay connected without frustration with little to no interference from surrounding devices. Imagine being able to browse in the middle of a busy train station! Some smartphones are already gigabit LTE-ready, such as the Galaxy Note 8. The iPhone X does not support the technology, but the iPhone X Plus is almost certain to have it or something even better to outrank competition. Currently, Gigabit LTE is limited to the Tech City’s EE test sites in London and in Cardiff. That’s bound to change soon in 2018 with its rollout throughout the country. Phones with support for the Gigabit LTE can then take advantage of great speeds while the iPhone X simply cannot, since it’s not Gigabit LTE-ready in the first place. Gigabit LTE sounds like the next-generation, that is, only until the launch of the 5G. The fifth-generation mobile network goes way beyond 4G capacities with speeds in excess of 1Gb/s, even 10Gb/s to no exaggeration. It’s almost like companies are innovating the impossible, but actually is! iPhone makers are creators of the most powerful devices who’s always embraced the new. The second-generation iPhone had 3G. The iPhone 5 delighted users with 4G. If everything goes as planned, Apple fans will gain access to 5G through the iPhone 11. According to Business Insider, Apple has reportedly submitted an application for an experimental license to test ‘millimetre wave’ wireless technology. The corporation seeks to access performance of cellular links in both direct and multi-path environments and likewise mentions the 28GHz and 39GHz bands. Assessments are crucial to acquiring engineering data relevant to devices that operate on future 5G networks. 5G would require a totally different modem chip equipped on smartphones such that Gigabit LTE ready phones could miss out if it launches on any day. What’s great about the technology is as latency goes down, devices reliably gain more bandwidth. With successful testing (fingers crossed), we’ll soon find ourselves blown away with amazing upload and download speeds! For now, faster connectivity that’s 10 – 100 times faster than 4G is what matters most. There are no set standards yet on 5G and we’re yet to hear of the latest developments and announcements. If Apple is planning to wait, then it would be an incredibly long one since the first public 5G networks may not roll out until we welcome the year 2020. Both iPhone X and 8 Plus models came with a 12MP, dual-lens camera. The iOS 11 with the ARkit unraveled the first wave of AR apps on iPhone devices to consumers’ delight. If you’re an IKEA fan and downloaded the furniture preview app, you’d know what we mean. What more could we ask for? Chances of the Face ID or TrueDepth technology landing on the iPhone’s rear-facing camera is slim, but it won’t be short on features either. 2018’s iPhone 11 is predicted to have a 3D scanner on its rear sensor to enhance augmented-reality features. According to Bloomberg, Apple is looking at new technology distinctive from the front TrueDepth scanner of the iPhone X used for Face ID or Animoji features. Contrary to the current system’s 30,000-laser dot pattern structured-light technique to measure distortion, the rear-facing 3D scanner will utilise a time-of-flight approach while maintaining the TrueDepth system. The new sensor will calculate the time it takes a laser to bounce off surrounding objects and create a three-dimensional image of the environment. The technology will be equipped on the iPhone 11 for use with AR applications, whereas the sensor builds a 3D model of the surroundings to deliver the user with information and functionality. A patent application published by the USPTO in May 2014 described how the ‘super-resolution’ system works. The electronic image sensor has the capability to capture a series of photographs in different angles and stitch them together. This kind of optical image stabilisation was a feature of the iPhone 6 Plus. Every photo won’t be automatically taken in such manner, but an iPhone user would have to turn on the super-resolution mode like when using HDR or Panorama. Rumours are spreading about a ‘DSLR-quality’ camera capability that would revolutionize camera upgrades in the history of iPhones. A DigiTimes report stated that Apple has booked production for iPhone camera lenses above 12-megapixels at a new Taiwan factory by lens maker Largan Precision. Apple was issued two patents in January 2014 which described camera attachment methods for iOS devices like the iPhone and iPad. One patent was about a removable back panel for a portable electronic device that can accommodate camera modules such as fisheye or wide-angle lenses. The other patent offered an alternative method by means of magnetic add-on lenses. Detachable iPhone camera lenses are currently only available from third parties. Hopefully, Apple would have its own unique camera lens attachment with unparalleled sophistication by the iPhone 11’s release. Apple filed an anti-recording patent in June 2016 to prevent poor-quality recordings through infrared by concert audiences. People had varying opinions on the patent. To some, it was an invasion of privacy. Otherwise, Apple was deemed supportive of artists. Infrared signals also serve educational purposes, such as tracking plant health. It’s not clear yet how the multinational consumer electronics company plans to put the patent to good use with the iPhone X Plus. Don’t we all want a phone that lasts us through our online shopping sprees, social media posting, YouTube watching, all-day chat and more. The iPhone 11 aims to survive everything we can possibly multitask with an optimised battery and state-of-the-art charging capability. The 2017 iPhone releases presented the convenience of wireless charging, which was in line with current technology standards. 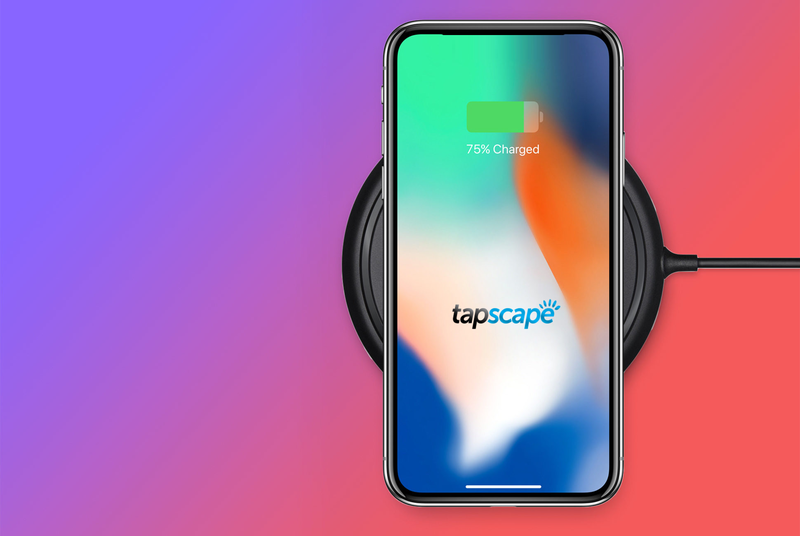 For the iPhone 11, we’re talking about ‘longer’-range wireless charging and would be what you’d call a game changer. Bloomberg has spread the word back in 2016. Apple has been working in collaboration with US and Asian firms to develop the new technology that will enable the iPhone to charge up within 1-meter distances. Perhaps we can do away with the charging mat or dock, and let near-field magnetic resonance fill up battery levels. In January 2017, Energous CEO Steve Rizzone hinted about their company signing a key strategic partnership in 2015. The key partner was believed to be Apple by The Verge. The shipment of wireless charging transmitters was delayed due to the renewed focus towards a miniature version, which have probably been accomplished and shipped in late 2017. Though the company did not drop names, Rizzone stirred up speculation upon saying that the partnership is with one of the world’s largest consumer electronic companies. In February 2017, Disney Research reportedly formulated a new method for wireless power transmission that can safely charge devices across a room. Principal research scientist and associate lab director Alanson Sample said that the demonstration was done on room-scale, but expressed how they can easily scale it down the size of a toy chest or further up the size of a warehouse. Korea Economic Daily cited an unnamed source claiming that LG Chem has invested billions by the hundred on facilities for battery manufacture. Full-scale production from the exclusive supplier is expected to begin early this year, which goes as planned for the iPhone 11. What’s more, the next-generation iPhone is presumed to adopt an L-shaped battery module. The new innovation is meant to boost charging speeds and maximise the iPhone 11’s internal space. Two batteries in an L-formation can be seen in the iPhone X Teardown by iFixIt. Another interesting rumour, and a persistent one, reckons that Apple will adapt its previous Macbook battery technology. Stacked within the original 12-inch MacBook’s chassis are contoured and layered batteries to optimise its capacity. Apple can integrate the same concept or make radical changes to the iPhone 11’s design without a strict battery shape to conform to. In fact, the iPhone X has already been cleverly built with a space-saving double-layered logicboard. Given all the features and surprises that await, most of us can’t wait to be among the first to own the iPhone 11. While no official price or release date is known, sources coincide with predictions of the successor’s release by September 2018. Nikkei expects the largest model to launch in autumn. September marks the same month last year when the iPhone 8 and iPhone 8 Plus were made available to pre-order, and traces Apple’s habit of launching flagship iPhones. The company didn’t launch all three devices at the same time, though. iPhone X was released only after a month has passed for unclear reasons, whether manufacturing issues, international or other factors. Apple would have sold more iPhone 8 handsets had the iPhone X been available sooner and did not cause a pent up delay. The launch of the 2018 iPhones is unlikely to be staggered with all the preparations and early collaborations the multinational corporation has been making. Analyst Ming-Chi Kuo, as stated in a KGI Securities research note, believes that the firm will develop tech upgrades that are bound to attract consumers through stable and timely shipments for its September release. Apple stirred anticipation for the iPhone X as a premium device available at a premium and the smartphone was priced at $999. The cost of the iPhone 8 was $699 while the iPhone 8 Plus was priced at $799. Based on previous offerings, the starting price of the Apple iPhone 9, iPhone 11 or iPhone X Plus is believed to be at $1,099. Nobody’s certain on how many powerhouse iPhone models Apple is busy putting together, but it’s very likely that three will be out this year. We’ve uncovered all there is about the 6.46-inch iPhone X Plus. What are the other two iPhones that Apple will launch in 2018? If the top-tier iPhone 11, iPhone 9, or iPhone X Plus would shoot up your expenses to great heights, then you won’t have to look anywhere else. Those in constant search for the best deals can get the 5.85-inch iPhone X Plus counterpart with the same OLED screen, or the LCD-equipped iPhone X-style handset for less this September. A separate launch for an iPhone SE successor is expected to roll out too. It will be perfect for those who prefer their iPhone smaller and save a good amount of cash. Now the rumored iPhone SE 2 is a totally different thing, which is scheduled for release in spring 2018. Apple is creating a ‘budget’ iPhone codenamed Hangzhou by the Economic Daily. The more expensive iPhone model with the biggest screen was given the code name Lisboa. Claims from the Chinese-language business newspaper is backed by KGI Securities analyst Ming-Chi Kuo, in line with the TFT-LCD model on his research notes. Kuo estimates that the 6.1-inch handset will fall within the range of $649 and $749, which slashes $50 off the current price of the iPhone 8. Costs are kept at a minimum with the use of an LCD screen rather than OLED and fewer pixels. What would be the selling points of the TFT-LCD model? The price tag should be around $649-749. Cost aside, Kuo tells of an innovative user experience from the iPhone’s full-screen design and 3D sensing capability. The phone will have some of the iPhone X features such as the bezel-less display or all-screen design. According to Nikkei, the device won’t have wireless charging capability. Their sources say it would sport a metal back like older iPhones with several color options. The Wall Street Journal reported how Apple has shown interest in liquid-crystal displays from Japan. The cheaper 2018 iPhone with LCD display is perceived to bring in business to Asian suppliers of LCDs, especially Sharp Corp. The manufacturers would have missed out on huge profits if Apple switched completely to organic light-emitting diode displays. In addition to helping other businesses grow, the new iPhone will enable Apple to avoid over-reliance to the Samsung Electronics unit, Samsung Display. WitsView (Taipei-based research company) analyst Eric Chiou expressed how sourcing over half of component shipments from a competitor poses higher risks of leakages of an upcoming product to the rival company itself. Chiou mentioned LG Display to be a potential supplier, but supply is limited to only about 10 million flexible OLED panels. Maintaining the lineup of the more affordable LCD-equipped iPhones is a wise move, until they probably find a supporting OLED supplier. Opting for LCD screens will pave the way for more color choices for consumers. If Apple does decide to utilise metal backs for the 2018 iPhones, it’d be good news to old and new suppliers who could win the order that comes in millions. Foxconn Technology Group monopolized iPhone X casing orders for 2017 as Pegatron Corp has with the iPhone 8. Foxconn split the iPhone 8 Plus casing production with Taiwanese rival Wistron. Other suppliers of iPhone metal casings include Jabil and Catcher Technology. Pegatron subsidiary Casetek could become an iPhone casing supplier for the first time, since the design closely resembles that of iPad casings which they provide.